... and - because of Christmas - a lot of dollars short! As you have probably noticed, I missed yesterday's Advent Calendar post. But I have a great excuse: I was decorating and baking Christmas cookies :0) But of course you get 2 freebies today, so you didn't miss anything (except my cookies). 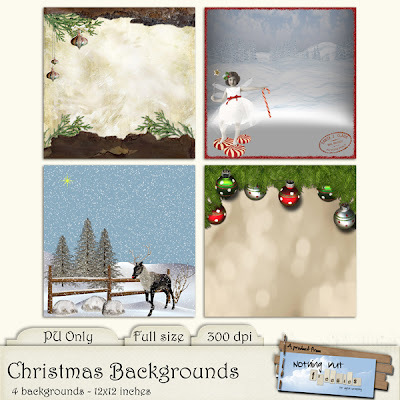 Yesterday's freebie is a 4-pack of Christmas Backgrounds. A little different in styles but I hope you can find use for them all. 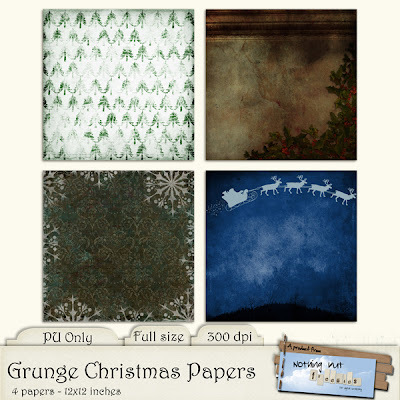 And today's gift is papers - Grungy Christmas Papers. I'll try my best to be back tomorrow, but I have a little MR Scan to deal with in the morning, so I can't promise you 100%. You are a very talented woman. Thank you for sharing it with us. thanks for both sets of gorgeous papers! hope the scan goes well! You are so very talented and what is especially wonderfully, truly kind and generous! 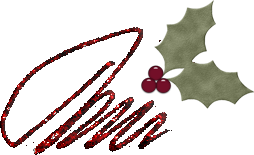 I wish you and all those you love such a wonderful Christmas! thanks so much for your lovely backgrounds. I will be using them for cards and layhouts. Oooh! These are awesome. I haven't been here in awhile and will be downloading some items. I just wanted to thank you for them here. Normally I'd leave a thanks for every one I'd take but with word verification and my need for sleep soon, I'm afraid all the my thanks will have to bundled up into this one message for today's downloads.